Settle into dwell Weston Court and you’ll be surrounded by the peaceful greenery of Platt Fields Park and Birchfields Park, yet still be within walking distance of Fallowfield, the famously sociable student hotspot. Here, you can take advantage of the best student deals, savour the varied global cuisine and hang out at day-to-night venues like Fallow Café Bar, where you’ll always find a strong coffee and a good crowd. At weekends, spend an afternoon in the Gallery of Costume in Platt Hall, where you can wander through designer and haute couture exhibitions all year round. Just a 10-minute walk from the University of Manchester’s Fallowfield Campus or 20 minutes on the bus to Manchester Metropolitan University, dwell Weston Court is ideally placed for getting to class. After your lectures and tutorials, meet up with friends to sit and relax in the nearby parks, or head for one of the many laid back cafés in the area to fuel up on food and chat. Call into the stunning former church building that is now home to 256 Wilmslow Road for burgers, wraps and meze that won’t dent your wallet, or just grab a drink and stake out your spot in the beer garden. 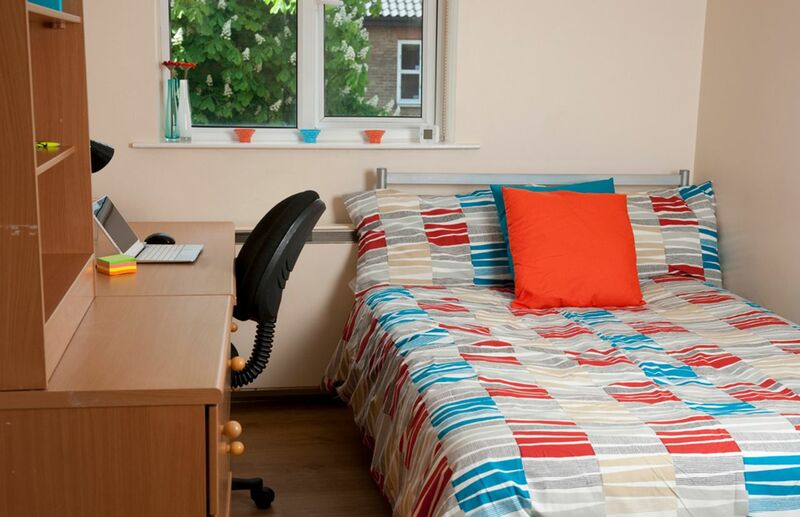 Back at dwell Weston Court, see who’s about in the quiet courtyard garden or, if you need to study, you’ll find a spacious desk area in your bedroom. Throw yourself on the double bed to unwind, then freshen up at your vanity sink or hop in the shower in the shared bathroom before dinner. 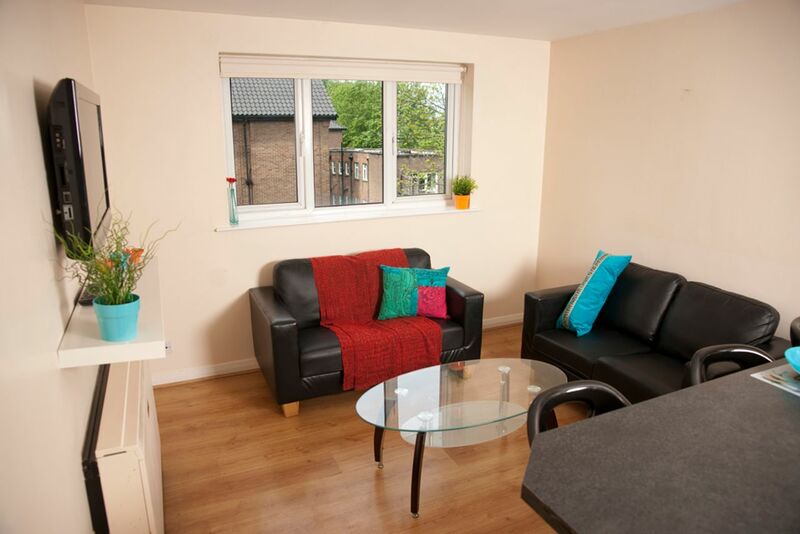 Cook dinner with your housemates in your fully fitted kitchen and eat at the stylish breakfast bar or relax on the comfy sofa in the spacious living area. Throw your feet up in front of the flatscreen TV to watch your favourite shows. While away the evening catching up with your friends or use the free Wi-Fi to get some extra research done for class tomorrow. With all bills included and a promise of great security thanks to the CCTV and gated entrance, you have nothing to worry about but loving student life in Manchester. We couldn't find a room that matches your preferencesView all Private Room in dwell Weston Court.